This page contains Rob Skiba’s Facebook notes related to Biblical subjects, arranged in various categories below. The majority of these notes deal with what Rob calls The Ephraim Awakening and how it relates to the place of the Torah in the Believer’s life. 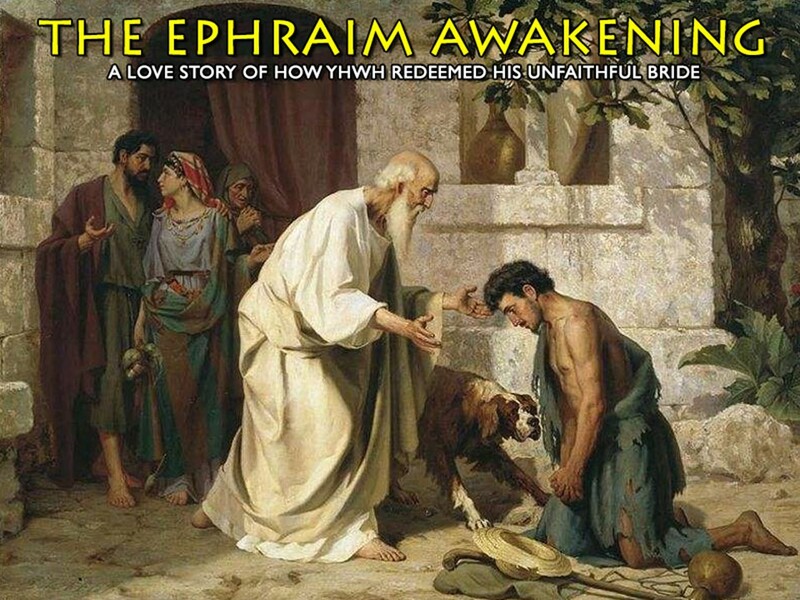 What is the Ephraim Awakening? A New and Improved “Great Awakening” is Taking Place! Blood Moon Fever? Is it Really Justified? Shemitahs and Blood Moons – What’s the Point? Did Yeshua Take a Nazarite Vow (in Matt. 26:29)? Where in the World is the World? What Are The Scriptures Anyway? Is It “God’s Will” For You To Have Sickness and Disease? Don’t Go All “KJV Only” On Me! Christians Won’t Go Through the Tribulation? How Many First Resurrections and Second Comings Are There Anyway? First Day of the Week – Or First of the Sabbaths? Rose on Easter Sunday Morning or on the Third Day? Obeying YHWH = Doctrine of Demons? Did the “Early Church Fathers” Keep the Feasts? Enough With The 613 Already! Finding Fault With Perfection… Or With Translation? Should Christians Still Keep the Sabbaths and the Feasts? Will You Take the Mark of the Beast or the Sign of YHWH? Law vs Grace – Why All The Confusion? Can’t Be Done? Says Who? Obedience to YHWH is Too Hard and Keeping the Appointed Times is Too Difficult? Paul Persecuted the Church. Wait… What?? There is also a setting in wp under settings-discussion where you can select “comment author must have a previously approved comment” It would save you some time from having to approve every single comment, and yet still greatly reduce trollish comments. Okay! I’m with Mindy “super duper smiley”!! I want to say what I think is long: the Antichrist system already has been since the beginning of time, the mark of the beast is the entire system that is not perfect. God has 7 eyes in the lamb and the Devil a look that represents that it is not ubiquitous omniscient. The Vatican believe a false Christ (the Holy Trinity) when he came the first time was God incarnate, came as the first man Adam, the came without sin . God to be stripped of his glory (the power of it is infinite why his love is infinite) believe had no placenta since the placenta comes from the paternal imprint (genetic father) he fathered to himself… Thinking how Hebrews are monotheistic… He is only one God but wanted to give us an example of life to have eternal life. Remember in genesis when appears to Abram, God appears in 3 people. The infinite power of our father! Jesus is coming soon I’m not Adventist, I am not a Baptist, but Saturday is a hallmark of the. The brand of the is already given, the chip and everything the man says is to believe in what the TV. We are the fig tree! All that is created to trick, remember what you told us our God the first warning is the deception. Constatino change laws and all of the papacy. It is an imperfect system and Satanic. Even made up islam! Sorry my English. I saw your video of the God Supreme and fascinated me. I believe in the Bible, I believe in creation! Yes is true earth is flat !!! In coming out of Babylon by questioning everything, my wife and I were discussing Mother’s Day. We had both the same idea that it is likely pagan. So, I googled it. Sure enough, pagan. At least in it origins. In reading about it’s inception here in the USA it has a seemingly altruistic beginning that degenerated into a commercialized, profit margin increasing, return to Babylon if you will. For my wife and I, just because it has origins in ancient Greek Mythology of honoring pagan goddesses, we will not be celebrating it nor Fathers day either. I am pretty sure, that our modern day equivalent to pagan gods are corporations and profits. I don’t say such because I fit into the ‘poor class’ but because I do fit into the ‘Whole Bible Movement”. Thanks again for all the time and effort you devote to the ministry, you were truly pivotal in helping me and my family wake up and come out of Babylon! We see again and again people claiming the “fulfillment” of prohpesy in ‘SOME’ of the tribe of Judah returning to Israel. Where in the Bible does it say the Jews are the whole of Israel? The prophesys referred to clearly state that “the LORD (YHWH) will bring Israel back to the promised land. Yes that includes Judah and Benjamin, but also includes the other 10 tribes; otherwise it’s not Israel, but only Judah (Judah and Benjamin) that is returned. Hardly the fulfillment of the prophesy some claim. firstly, man thanks for all your hard work that you have, and are doing in your quest to find the truth. Have been a active but however silent follower. Anyhow, please can you share your views regarding the “Hollow Earth Theory”. Google only returns “Flat Earth Theory” when I search for your name + hollow earth. Please share your thoughts or provide link to your site/video etc..
Man, I have so much to learn. I “woke up” about 4 months ago…I have spent every spare moment I used to play games and watch movies to try find more info and read the bible daily. At first I was overwhelmed with fear, you just cant help but wonder what YHWH must have been thinking regarding your ignorance. But you also learn that got loves those that fear him for just such occasion. I am blown away at just how contorted our world and the word has become. Rob, thank you brother. I think i sent you an earlier message but nothing confirmed, so…. Of all your personal experiences, education, christian and theological upbringing and your lifelong quest for the truth and answers to certain questions regarding the reason why the flood took place, re men of renown and myths and legends from the past etc etc. is exactly the mind set and the same opinions I have. The only thing is, I wasn’t raised theologically nor a practicing christian at all. I just read genesis a few years back and understood these giants, hybrids were the reason for the flood and also all the myths and legends stem from these beings. Including our ability as astronomers, architects and agricultural ways that came from these beings. (Or maybe the watchers, I’m still working on this). I understood almost immediately what Christ was stating in Mathew about the recognizing of the last days as per the days of Noah. My question was how come the churches dont teach this as im sure they would have the floodgates opened. I’m presently thinking of joining the Jehovah’s witnesses but like you I dont favor any organisation. I feel the truth and spirit as you do but does this mean i go through life without joining any congregation or association? Great stuff here Rob. You’ve given me a renewed zest for our realization on the days ahead . The last days. Would be fantastic if you could comment on my thinking although I have no theological experience yet seem to have arrived with the same thoughts as you!!! Hey Robert. Thank you. Churches won’t touch pretty much anything that could hurt their weekly income. I would definitely stay away from Jehovah’s Witnesses. Honestly, finding a good small group of fellow seekers, who rely only on the written word and the power of the Holy Spirit for learning truth would be my suggestion. Blessings bro. Hey Rob, thanks so much for your reply, I’m going to be seeking out similar people, not JW,s. Checked out your flat earth information very interesting and thought provoking evidence. I don’t like the fact that your statement of faith says you believe the whole Bible thru Revelation 22:21 when it should end at Revelations 22:20, written by John, the Revelator, NOT “St John the divine”. Blech Please make sure to address the strong delusion that God is allowing to take place, probably being perpetrated by CERN, thank you. Have you ever considered the Melkizedek Covenant/Order teaching? Your take on it. What are the dietary laws you follow?